When it comes to pressure washers, you can choose between gas and electricity as the main source of power. While gas powered washers work fine, they aren’t environmentally friendly and can produce a lot of noise. This can make using them highly inconvenient for you and as a result, don’t prove an effective purchase. 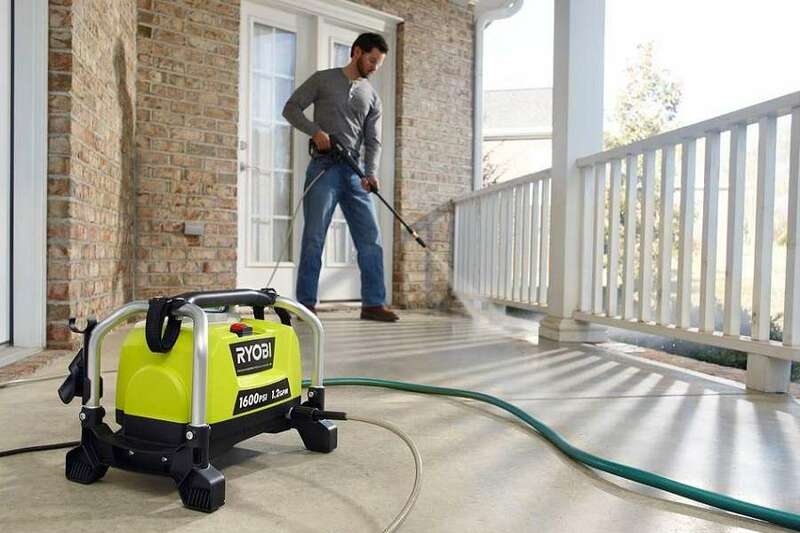 Electric pressure washers are superior in terms of performance and emit less noise. You can easily connect the washer to an electrical outlet, turn on the water supply, and start using it. You can conveniently clean your driveway, garage, patio, and even your car using the washer. 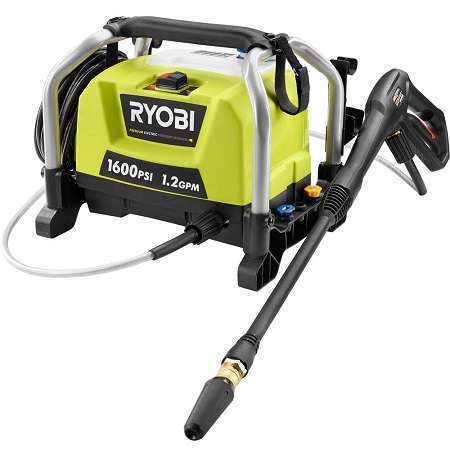 The Ryobi ZRRY141600 is a refurbished electric pressure washer. With its 13-amp motor, the washer delivers a stream of 1600 PSI with a water flow of 1.2 gallons per minute. Ryobi checks and examines each unit before allowing it to be put up for sale. 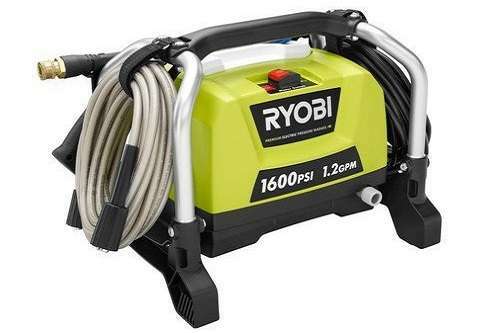 Ryobi is a reliable brand of pressure washers and their reputation ensures you get a refurbished washer that delivers consistent performance. 1-Year Warranty - As mentioned, Ryobi tests each washer and restores it to its original condition, making it look and feel as good as new. To further certify the quality of the washers, the brand offers a 1-year warranty, which essentially means your purchase is risk-free. However, since this is a refurbished product, there might be some aesthetic issues, but Ryobi ensures the appearance doesn’t reflect the quality of the washer. You can rest assured the washer will perform optimally, regardless of how it looks. 13-Amp Motor - The washer features a 13-amp motor that provides ample power to generate water pressure of 1600 PSI and a steady flow of 1.2 gallons per minute. This means you can use this washer for any cleaning task, regardless of its scale. The strong jet of water flowing from the hose can help you get rid of the most stubborn dirt, grime, and mold. Quick-Connect Coupler - You can easily set up the washer with the help of the quick-connect coupler. Connecting the nozzle to the hose is simple and will hardly take you a few minutes. Once done, you can start using the washer right away. Sturdy Frame - The design of the frame of the washer is sturdy, ensuring it doesn’t tip over or lose balance even when you move it around. 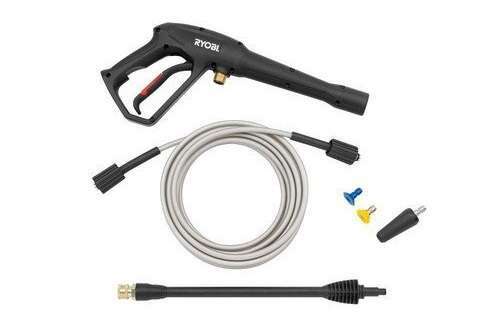 This enables you to use the high-pressure stream of water from the hose for heavy-duty applications, such as washing your RV, without worrying about causing any damage to the unit. This product has received an average rating of 4.1 stars out of 5 on Amazon, indicating largely positive reviews. Most of the customers who invested in this product were satisfied with its performance. A customer commented that this pressure washer is incredibly easy to use. He is able to get any cleaning or washing job done conveniently using this washer. Another customer stated that this pressure washer is ideal for light and mild tasks, but would not hold up well when it comes to heavy-duty applications. Even though the washer is refurbished, several customers were pleased by the fact that it looks and performs as good as new. 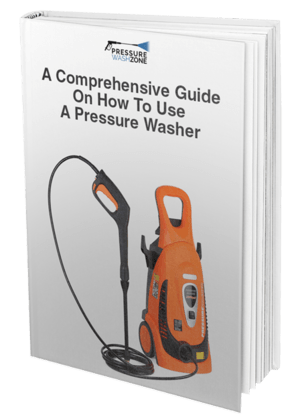 A reviewer stated that he purchased the washer because it was a hugely economical option as compared to other pressure washers on the market. A customer claimed that this is the best pressure washer for washing a car. A customer wrote that he just purchased the washer to try it but was pleasantly surprised at the results. It performed better than expected, dealing with dirt and stubborn grime with ease, when used for cleaning furniture. On the flipside, a number of customers left negative reviews for the product. A customer stated that the product arrived in a filthy state, which was understandable given that it is refurbished, but that some of the parts had already started rusting. Another customer stated that he set up the washer perfectly according to the instructions but it lasted for only 15 minutes before giving way. The customer eventually had to send the product back because having tried every solution, he still could not get it to work. Another customer praised the product and its performance but stated that it lacks durability. The washer lasted all of 4 months before breaking down and the customer was forced to replace it with a new one. A common complaint among customers, even those who left positive reviews, is that the motor isn’t powerful enough and as a result, the water doesn’t come out at 1600 PSI, the way it should. The flow of water in that case is less than the 1.2 gallons per minute output as advertised by Ryobi. You can purchase this product on Amazon for just under $100. You will get free shipping with your purchase. Stock is limited so you should purchase it quickly, if you are interested in the product. You can also check the Ryobi website to buy the product. You can also purchase it at The Home Depot. Amazon offers the ZRRY141600 at the most economical price. You can still look for other deals and discounts that will enable you to purchase the product at a more affordable price and you can save money on your purchase. Overall, the Ryobi ZRRY141600 is a decent electric pressure washer. Given that it is refurbished by Ryobi before shipping means you can rely on the brand to ensure it will perform optimally. Its reasonable price is a plus point, but the second-hand nature of the product means it might not last as long as a brand new washer. Still, it is worth considering as an option.